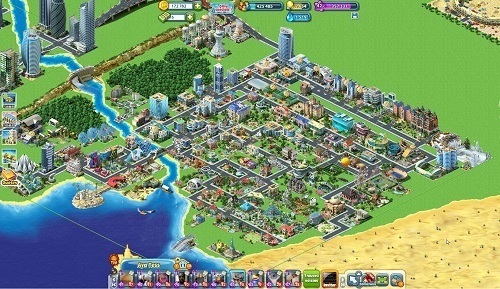 Megapolis lets you build an entire city with your iOS or Android device. With a huge array of buildings and plenty of freedom there is no shortage of options for you to explore in your own Megapolis adventure. After starting out a new adventure in Megapolis you’ll be introduced to your assistant to guide you through the basics of building up the infrastructure of your city. You’ll also meet some of your other advisors that manage different elements of your city from finances to resources and help keep you on track for your long term projects. The world before you in Megapolis is huge and unlocking it all will take significant work. While you’ll have various tasks from your advisors on how to get there your path is mostly up to you. With impressive locations such as the intentional airport, the stadium, yacht club and more to strive towards you’ll always be working towards a greater goal. Deciding on which buildings to use in your city is one of the hardest parts in Megapolis simply because of the scale of options (which is very impressive for a free to play mobile game). Categories for buildings include extras, residential, production, infrastructure, decorating, resources, assets and roads. Each category has plenty of depth that lets you take your city into a variety of directions. Maybe you want your city to run on nuclear power? Or solar? Or wind? This choice and many others are completely up to you. 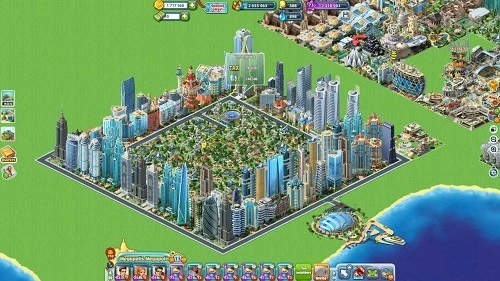 While Megapolis doesn’t have the depth of full city building games like SimCity it offers more than enough content to keep you entertained on your mobile device. With the hundreds of buildings on offer, support for playing with friends and the daily tasks to keep you challenged Megapolis is definitely worth installing on your device. A free to play city builder for iOS and Android. Hundreds of different buildings to choose from. Expand your city over both land and sea. Take advice from your advisors or create your own path to city success. Always a new challenge with daily tasks to strive for.